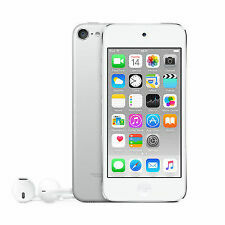 IPod Touch 4th Generation - White. The back has light scratches but is still nice and shiny. (Apple iPod touch 4th Generation (Late 2010) Black (8GB) Model No A1367. on the case will not match the ipod) the plastic case is worn with tape on & signs of wear. They have all been data wiped & updated to the latest ios 6.1.6, and Checked for full functions ,wifi checked & icloud clear ,Are ready to load your own music on & connect to itunes. Apple iPod touch 5th Generation (Mid 2014) Yellow (16GB). Condition is Used. Excellent condition,no scratches, rarely used. Dispatched with Royal Mail Signed For® 2nd Class. Heavy scratches on the screen and back. After all nobody is perfect but that's why pencils have erasers. Just let us know about your problem and we will get back to you in 24 hours or less. Up to 4 weeks worldwide. Apple Touch 6th Generation Silver - 32GB Full working order. The iPod is in excellent condition as seen in photos. Reset to factory settings ready for the next owner. Comes boxed (not the original) with usb cable and charger. Posted via Royal Mail Special delivery and will be well packaged. Open to any questions. Happy Bidding!! The ipod touch is in excellent cosmetic condition for its age. It has been well maintained over the years. The ipod is in very good working order. The buttons and touchscreen all work as normal. The camera is in very good working order. The battery life is very good and lasts all day. For Sale: iPod Touch 6th Generation 32gb Silver. 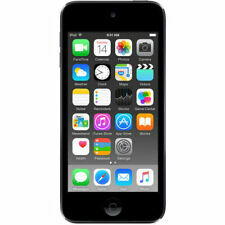 We have for sale an iPod Touch 6th Generation 32GB. This may include dents/scratches/finish wearing off. Poor condition. Upgrading your gadget?. 5 out of 5 stars - Apple iPod Touch 6th Generation Silver (32GB) - Sealed - Special Delivery! 15 product ratings15 product ratings - Apple iPod Touch 6th Generation Silver (32GB) - Sealed - Special Delivery! 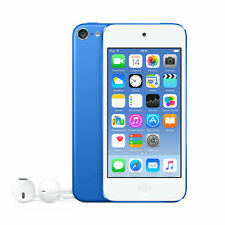 Apple iPod touch 6th Generation LATEST MODEL IN THE IPOD TOUCH SERIES,IN THE BEST COLOUR TO CHOOSE FROM,COMES WITH CHARGER LEAD. IPOD HAS SMALL CRACK ON TOP OF SCREEN AS SEEN IN THE PIC HOWEVER IT DOES NOT EFFECT THE SCREEN OR INTERFERE AS ITS ABOVE THE ACTUAL DISPLAY. IPOD HAS BEEN RESET READY FOR NEW OWNER. Dispatched with Royal Mail 1st Class. Apple iPod touch 6th Generation Pink (16GB). Condition is Used. Latest model in the ipod touch series,you can do facetime take selfies,watch youtube and so much more,ipod has a few marks around edges as expected from a used ipod, ipod has been reset ready for new owner, comes with charger lead. thanks for looking Dispatched with Royal Mail 1st Class. Ipod 6 Touch 16GB model A1574. Condition is Used. We bought this item for my daughter who does not use it anymore. Physical appearance is very good indeed. Only a couple of extremely feint scratch marks to screen which are not easily seen and I am possibly being too honest here. For a second hand ipod 6 you will not be disappointed. Comes with case and I think we still have charger in her bedroom! Item will be factory reset. Dispatched with Royal Mail 1st Class. Any questions please ask. Check my feedback to satisfy yourself. Thanks for looking. PS - APOLOGIES FOR RE-LISTING THIS ITEM BUT IT WAS FOR PERSONAL REASONS. NOW AMENDED AND AVAILABLE AGAIN. THANKS FOR YOUR UNDERSTANDING. Apple iPod touch 4th Generation (Late 2010) Black (8GB). Condition is Used THIS COMES WITH THE CASE BUT NO CHARGER. Apple iPod MKHX2LL/A touch 6th Generation Silver (32GB). This is the latest model in the ipod touch series and in a really nice colour.as you can see the condition is EXCELLENT. you can do facetime take selfies,browse the internet and so much more,ipod has been reset ready for new owner,comes with charger lead. Dispatched with Royal Mail 1st Class. IPod Touch. iPod Classic. iPod Shuffle. iPod Accessories. iPod Parts. Product has been through a thorough screening process by our engineers and is graded as C standard. We can best describe this grade as “well used but in fully working order”. Apple iPod touch (5th Gen.) 32GB MP4 Player - Pink. Condition is Used. Dispatched with Royal Mail 1st Class. Slight crack in lower right hand corner of screen as seen in photos, some minor scratches on screen. Apple iPod Touch 2nd Generation Black 32GB. Condition is Used. Full working order. BOXED with all instructions and charger cable.